Wheelies, drifting, burning... - Say hello to the Streetfighterz! Wheelies, drifting, burning… – Say hello to the Streetfighterz! Wheelies, drifting, burning.. and more! Well, we can say that the name of this popular motorcycle group called Streetfighterz says a lot about their lifestyle. Some people may not get it but, riding a bike is a way of life and here in the video you can experience a part of it through their action. Wheelies, drifting, burning tires and driving backwards- Say hello to the Streetfighterz! The stunts that they are performing are jaw-dropping, almost unbelievable. But, there are parts meant for sobering up from the awesomeness. As you will see in the video professionals do fall off their bikes and that’s the real story. Check out the wicked stunts and believe us, this is not a video that can be seen only once! 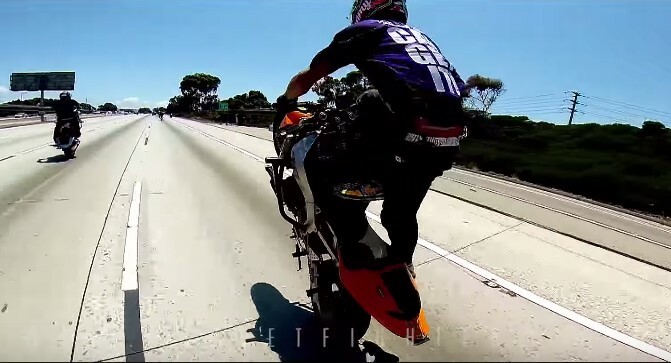 Wheelies, drifting, burning.. and more video below! V-TEC just kicked in, yo! Vroom, vroom! Color changing Lamborghini Gallardo – All You Need Is Water! Michael Dunlop doing one of the best laps ever at TT Isle of Man! Lucky biker escapes death by mere inches!